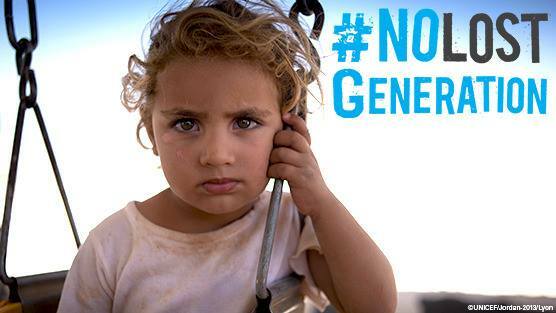 As the Syrian conflict will approach its fourth year on 15 March, UNICEF and their partners have issued an impassioned appeal, asking you and everyone to urge world leaders to take action to prevent the loss of a generation to violence, hardship and displacement. You can do your part by signing this petition, just follow this link. Multiply Your Impact: turn your signature into dozens more by sharing this petition and recruiting people you know to sign. Founded in 1946, United Nations Children’s Fund (UNICEF) is the world’s leading United Nations organisation working specifically for children, with the mandate and influence to transform their lives. The Hong Kong Committee for UNICEF (UNICEF HK), one of the 36 National Committees, was founded in 1986 to raise funds to support UNICEF’s work worldwide and to promote, advocate for child rights in Hong Kong. They believe their work is not completed until all champion for child rights to achieve four Zero Sufferings for children. Every child has the right to education, leisure, participation in cultural activities and understanding their basic rights, etc.